It was a busy birthday too. Not only was it his birthday but also Family Day at Josh’s work. AND after that we headed to Georgia for the Thunderbird Air Show. Like I said, it’s been a crazy busy month, that was just one weekend! Given the busy day on his actual birthday we had his birthday dinner the night before with his Oma and Opa. Jack chose meatloaf, mashed potatoes and asparagus. 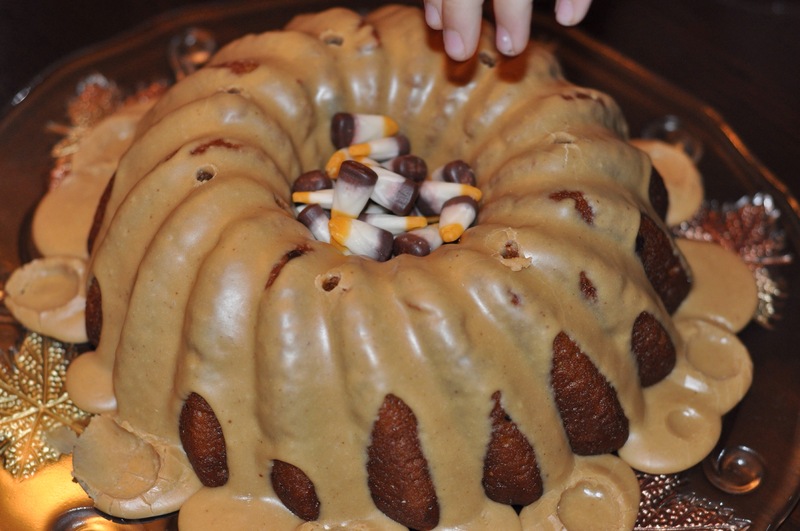 Of course the most important part was his pumpkin cake with caramel frosting. This picture is after he blew out the candles and was attacking the candy corn filling! There were also candy pumpkins around the outside, the boys grabbed them first! I recently got this new cookbook too. I can’t wait to try it out. I already read it cover to cover and am planning to try a cinnamon roll recipe this week. I like how it allows for an overnight rise for the dough. Sometimes my days are so crazy I can’t get bread done with traditional rise times. Here is what is NOT in my kitchen lately. All the boys started swim practice/lessons a couple weeks ago. Jack and Ewan have practice Tuesday and Thursday from 16:30-17:15 and Sean has lessons from 18:35-19:15. That doesn’t leave much time to go home, eat dinner and get back between lessons. 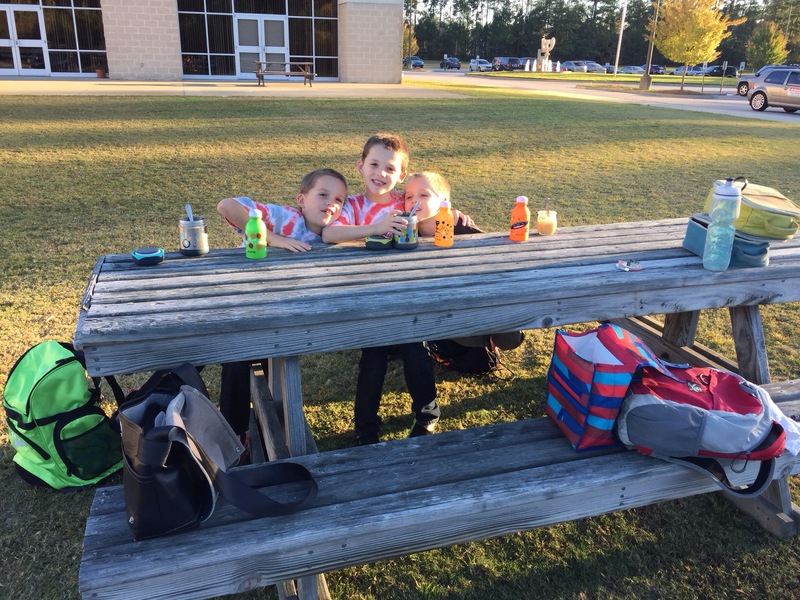 So here they are eating dinner outside the gym. Then we do homework and have a few minutes to run around before Sean changes and has his lessons! Next week we may have to start eating inside as it is getting cooler out. What has been happening in your kitchen? Click here to look into everyone else’s kitchen. Looks like they had fun decorating the cookies! I remember that age, we were every where with our children, including the swimming too! Can’t wait for you to post recipes from your new book! Thanks Michael. The boys certainly did enjoy decorating cookies. Won’t be long before it’s Christmas cookie time! fun stuff in your kitchen 🙂 Happy birthday to the birthday boy! I made sourdough bagels today and they look lumpy but taste good. Also chicken stock last night, though we had delivery pizza tonight (my oldest’s request for “movie night”). Making apple muffins and zucchini and banana breads is on my list–just need to find time. Homemade bagels are on our to do list. Maybe now that it has cooled off we can try a new recipe. Sounds like you had a delicious and fun weekend. We had company Saturday for dinner and enjoyed shepherd’s pie, apple pie, cinnamon Bailey’s ice cream and the last of the garden harvest. With an impending frost I picked the pumpkin blossoms and we fried them stuffed with apple cinnamon goat cheese. Also stuffed some jalapenos. Picked the last of the basil and need to make pesto. Goodbye garden! Thanks Amy! October was a fun and busy month. Thanks Emma! The boys certainly had fun decorating cookies and are looking forward to Christmas cookies. The caramel frosting is amazing, lick the bowl good! Thanks! October was a busy month, though I suppose November also is with another birthday and Thanksgiving then December with Christmas. More cookie baking soon enough! Thanks! The boys certainly had fun decorating their pumpkin cookies. The cookies look like a fun thing to make! I should try it again… when we were growing up my mom made sugar cookies and she baked for our school teachers, we decorated sugar cookies until we were sick and tired of it (it seemed like thousands of them) she had us help , and in my 14 years of being married I think I’ve only made them twice…. I bet my children would enjoy it so I should try it soon! You made it look fun! The bread book looks fun to get into as well! I always enjoy you pictures!! It is definitely a fun activity with the kids. I myself prefer the cookies unfrosted, but they look cute with frosting and the kids love the decorating. G’day! Fun family times and memories! Love the cookies! Thanks for this month’s kitchen view also! Thanks Joanne! It is always crazy in our kitchen, especially when it involves the boys decorating cookies. I am testing,out a recipe from the bread book today, hope it works! The boys may consider themselves expert cookie decorators by Christmas! 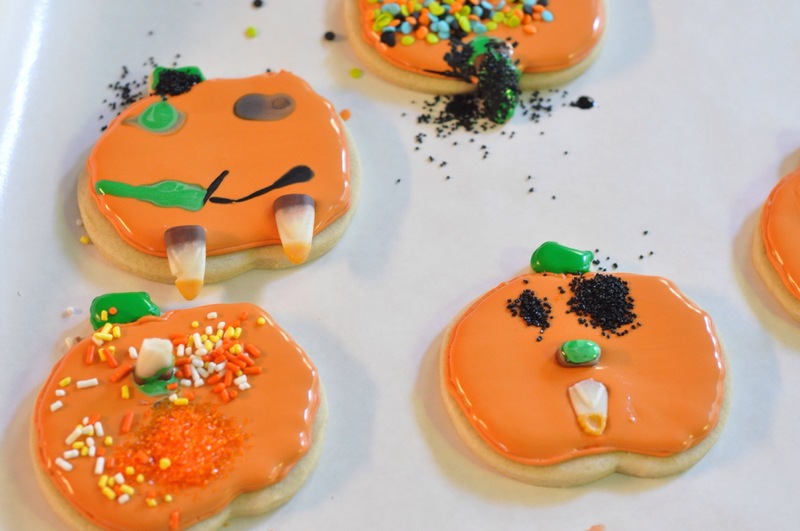 Those are the cutest pumpkin cookies — very artistic! I liked your son’s birthday meal choices, too. What a wonderful family! Enjoy your new bread cookbook. The cover photo is making me hungry! Gretchen your new cook book looks great. I would love to see some of your creations. I am looking forward to trying out several recipes! Thanks for checking out our crazy kitchen. Life sounds busy but also lots of fun. Always busy! We manage to have fun in the kitchen though. A lovely peek into your kitchen, you are a busy mama. I love the look on your son’s face in the second photo – looks like he’s saying “hmm what decoration can I put on next?”. 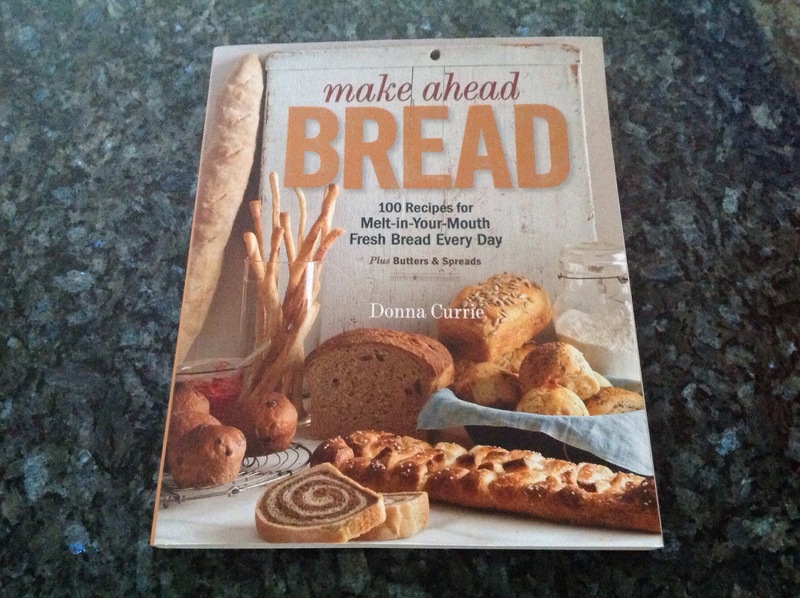 Can’t wait to see what you make out of your bread book. He certainly did enjoy decorating the cookies. He was quite serious about it and figuring out exactly what to out on each cookie! Thanks for peeking in our kitchen. 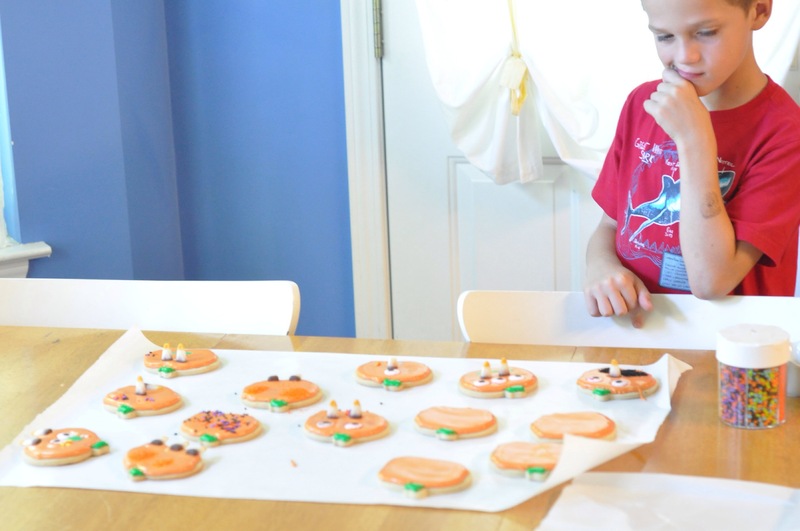 I’m very impressed with those pumpkin cookies and the decorating skills – Jack obviously has very steady hands. Happy birthday! Ha ha! Jack had a little help, especially after he got bored filling in the frosting several cookies in. He was more into the design aspect of decorating! That and nibbling candy, one for the cookie, one for his mouth! Thanks for stopping by. Thanks! As much as all my boys love their sweets they also enjoy a well rounded healthy meal. Look at your lovely happy boys! It’s always so nice to see them in your posts, Gretchen! 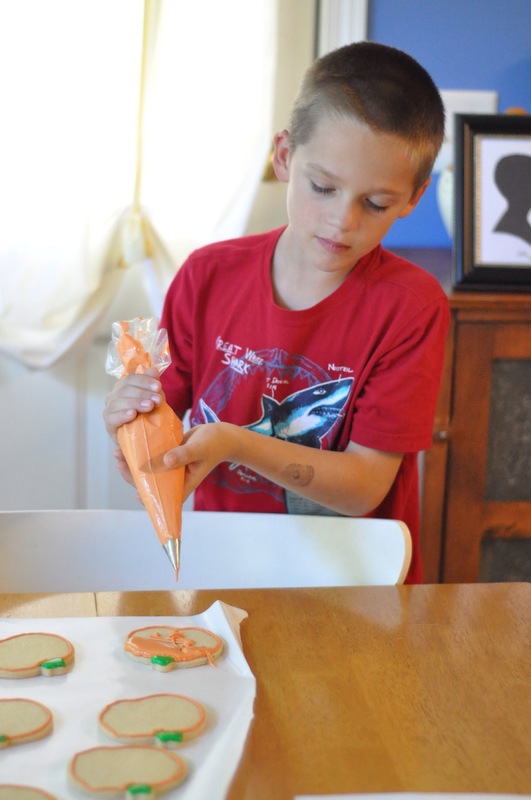 Jack did a marvelous job – fill cookies like that are hard, and I always end up with icing everywhere! His cake looks great too, and I hope you enjoy the bread baking – I find sourdough baking suits our routine – as you say, the overnight prove often lets me fit things in better with our schedule. The boys always have fun in the kitchen! Jack filled several of the cookies and then I finished, he got bored. Decorating is more his speed! I look forward to testing out more bread recipes and will give sourdough a try soon. Thanks for checking out our kitchen Celia! The pumpkin cookies look very nice. I think I’ve read more than 200 cookery books but I never get round to cooking anything. I am what you call a master procrastinator! Your bread book looks very nice. Happy baking and please share whatever you make! Thanks Liz. The boys had such fun decorating the pumpkin cookies. I tried one recipe from the bread book so far and wasn’t impressed, though it could have been my fault. I will try more! Jack certainly had fun decorating cookies! Thanks for stopping by. Thanks! We all had fun making and decorating the pumpkin cookies. Thanks for popping by Liz! Candy corn is a very traditional Halloween candy here, it even comes in many different flavors now. It’s too sweet for my liking but clearly the boys all enjoy it.